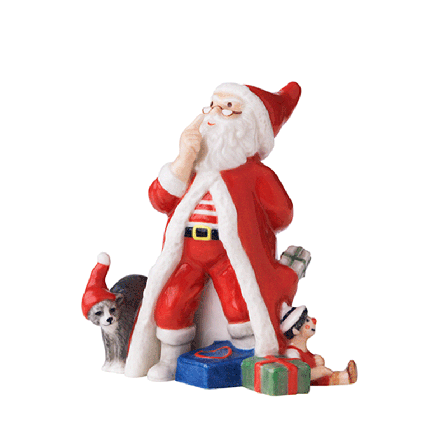 Annual Santa Figurine designed by Sven Vestergaard. Father Christmas is wondering whether he's remembered christmas presents for all the dear little children. There are so many presents to look after but luckily he has his cat to help him. Santa's little assistant arches its back and keeps a close eye on all the gifts while santa counts them to make sure he hasn't forgotten any.